This event is designed for Heads of Services, Department Managers and Senior Leaders to frame their planning for placement provision, in the context of the current policy landscape. It is all about persuading upwards, working with University Boards and Governors, and ensuring they are maximising their influence on internal stakeholders. This one day event will hear from policy experts, create spaces for participant led discussion, and facilitate activities to develop ideas to move forwards. It will be perfect for those managing change and leading placement services in these uncertain times. 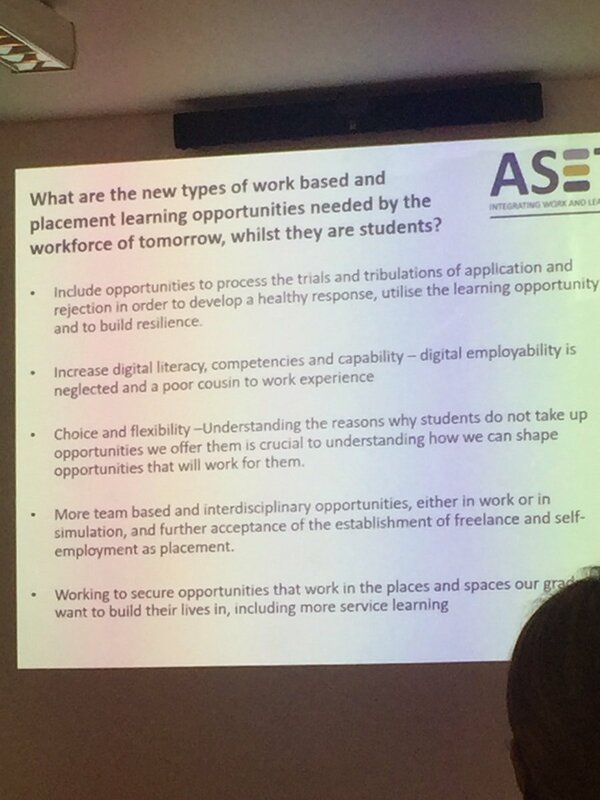 Giving us their take on the current policy landscape and how leaders in placement learning should be responding: we will have contributions from Rachel Hewitt of HEPI and Debbie McVitty of Wonkhe. Rachel joined HEPI in November 2018, as Director of Policy and Advocacy. Prior to this she held a number of roles at the Higher Education Statistics Agency (HESA), focused on data policy, governance and gathering requirements for information that could be met from HESA data. Rachel also led on the review of data on graduate destinations and designed and implemented the new Graduate Outcomes survey. Debbie is Editor of Wonkhe and formerly Chief of Staff at Universities UK, and Policy Director at the University of Bedfordshire and the National Union of Students. She was a founding member of Wonkhe’s editorial group. A community of diverse voices, Wonkhe is providing platforms to drive the policy conversation forward and bring about real change through expert, trusted and essential analysis. Wonkhe Mondays keeps the sector up to date with a weekly look at the latest developments in UK HE policy, and Wonkhe Daily is keeping the sector, government and agencies ahead of the HE policy and news curve. In times when data is increasingly important, and having the support of the most senior members of the organisation is essential to advancing placement provision and employability, getting support couldn’t be more crucial. This event aims to help you to do just that – you simply cannot afford to miss it. Places are strictly limited, so book now to avoid disappointment.